It's pretty simple. You want an energy-efficient, comfortable, environmentally healthy, money-saving, and value-added home or commercial building. While your initial cost will be higher, you will actually have a payback period! An insulation system these days is a monetary investment, especially with today's sky-rocketing energy costs, and needs to be taken seriously. It's not that you "want" an excellent insulation system; it's a matter of you "need" an excellent insulation system. That's why we use the Foam-LOK™ spray foam system by Lapolla. The old adage "You get what you pay for" rings profoundly true when it comes to your insulation system. 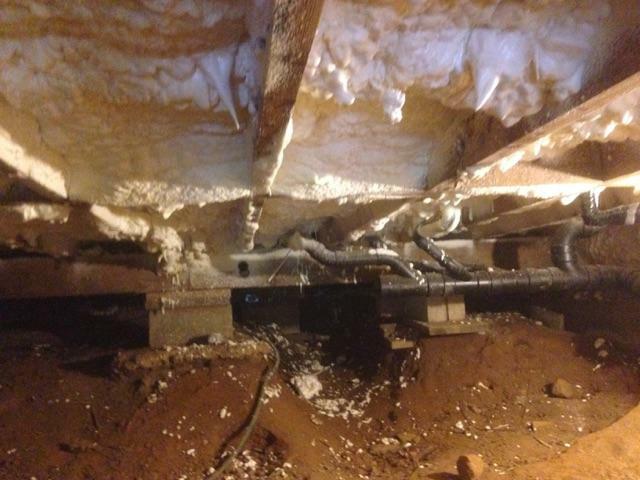 There really is no question when it comes to choosing the best type of insulation system in the Rhode Island, Hamptons, Eastern Long Island, Westchester County, Central Upstate New York, and Connecticut areas: it's Spray Foam Insulation. The number one reason people invest in spray foam insulation is to save money on heating and cooling. 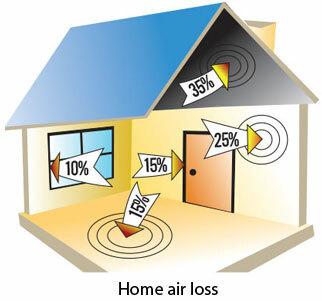 The US Department of Energy states that 40% of the energy in a home can be saved by sealing air infiltration. With energy costs skyrocketing, this makes it more and more important to plug the holes in your pocket. SFDR Eco+ products provide a tight air seal and it retains the conditioned air that you set on your thermostat. So, your thermostat no longer says 70 in the winter as you shiver with drafts and wear long johns, because actually it's 55 in your home. The savings will be even greater if natural gas, propane, heating oil, and electricity costs continue to increase as predicted. 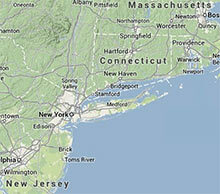 Furthermore, the extra cost of SPF insulation can often be recovered in less than 5 years through energy savings alone. 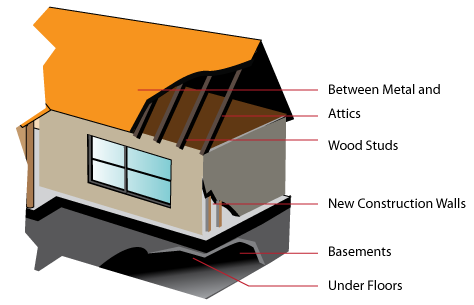 SPF provides an air tight seal, and a home without air infiltrating it is much more comfortable. If your home is breathing like most unhappily do, you're letting in outside air, moisture and dust. This can lead to allergies or at the very least prevents your home from providing a nice retreat from allergies outside. Mold and mildew posses a significant health risk and can force people to move out of their homes during expensive remediation while still paying their mortgage. Thankfully, insulating your home with the same SPF air barrier that saves you money, also makes the home healthier and more comfortable for you and your family to live in. SFDR eco-friendly ECO+ products use zero ozone-depleting blowing agents that contain zero HFAs, HCFCs, or HFCs along with zero formaldehyde, so there are no harmful emissions while minimizing carbon emissions and footprint. The days of uneducated home buyers purchasing energy-inefficient homes are coming to a close very quickly. Not only will people pay more for an energy-efficient home, they want to pay more. 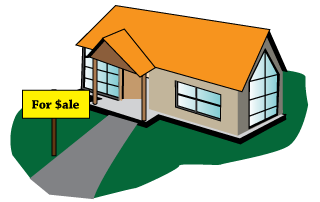 That means your dollar saving home is more attractive to buyers, and the competition the buyers will create for your home will lead to a higher sales price. 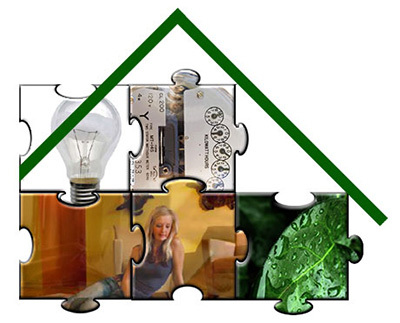 2008 research shows that 80% of Americans are willing to pay more for a green home. That means SFDR Eco+ energy-efficient SPF products not only save you money month after month, it also puts more money in your pocket when it comes time to sell. That is like owning stock that puts dividends in your pocket each month while increasing your overall value. When your energy costs are lower, you don't feel drafts, and your void of mold, moisture, and pests, you're just going to be more comfortable. Its easy to take for granted however, peace of mind is truly a wonderful thing and also carries a price tag. Now that's a real value-add! 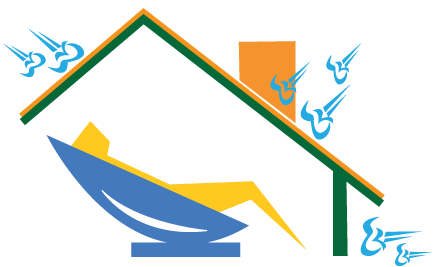 To get a free estimate on spray foam insulation services, contact us by filling out the form here! 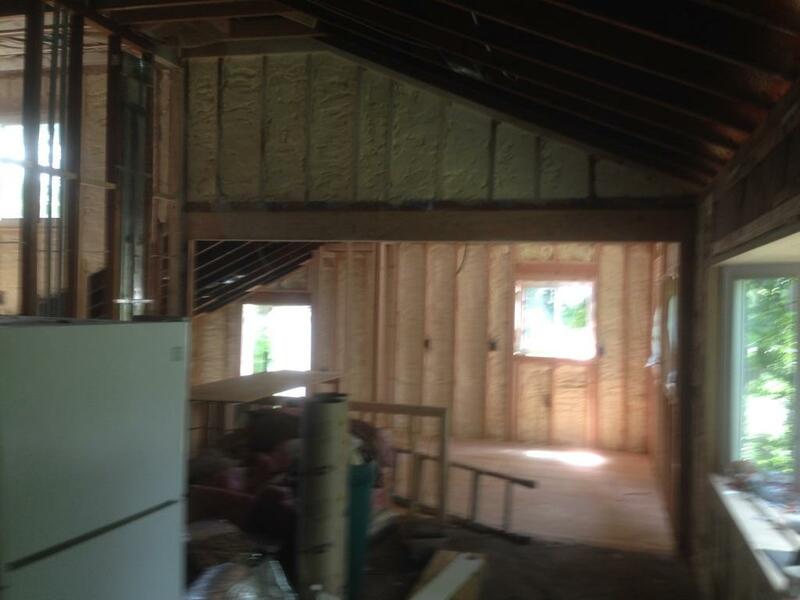 We installed R-21 3 inch spray foam along the walls, along with R-27 spray foam in the kitchen walls to meet regulations.